Editors Note: This entry from October 2007 has been updated with pictures and detail from subsequent visits in 2011. This is a family-owned eating place that has been in operation for nearly sixty-five years. The homemade Cherry Pie on the menu was listed in a Des Moines Register list of "100 things to Eat in Iowa Before You Die." Location: 113 E. Salem in Indianola, just half a block SE of the square. Only a fifteen minute drive South from Des Moines. Directions: Main road into town, Route 69, leads just a few blocks from this cafe. Follow signs to main square downtown. Price: $4.09 also available in a dinner with two sides. Ambiance: This is a very clean and well-lit place. There are family pictures and prints of farmers on the walls. Many locals were inside. The tables are slightly smaller than what you find in other restaurants, they are older fixtures that make these old cafes what they are. Service: Several attentive waitresses took care of everything. They knew many patrons by name. Also on the Menu: Highlights include fried chicken for dinner, hot beef sandwiches, and homemade fruit pies. Closing comments: this cafe is clearly worth finding when in Indianola. 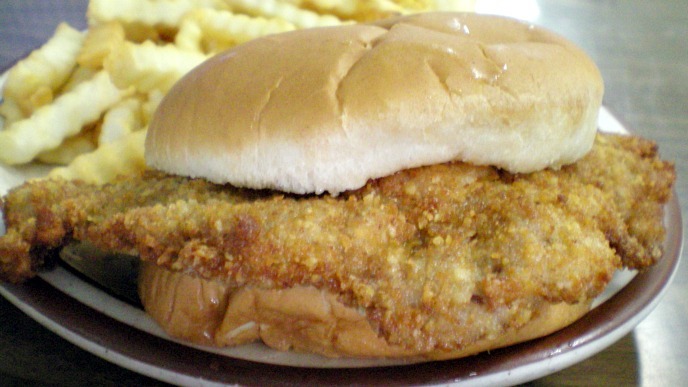 Its just a short drive from Des Moines, and there is something for everyone on the menu. This has been one of my favorite eateries since I was a small boy. The pancakes are huge, the tenderloins are delicious and no mortal can tackle an entire order of their freshly cut homemade onion rings. The owner is a really nice guy and the family atmosphere is wonderful. Been friends with the family since I was 8 or 9 years old and its always a treat to eat there. Crouse cafe is one of its kind. Pies from scratch just melt in your mouth. 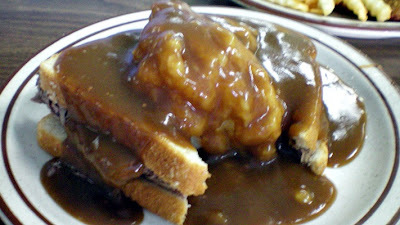 Hot beef sandwiches that are piled high with REAL mashed potatoes and gravy made to perfection. Onion rings that are tremendous and heaped up on a plate. 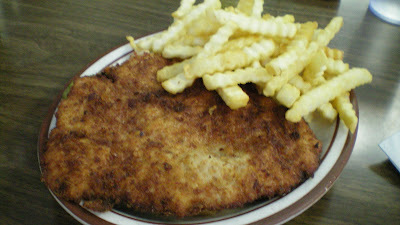 The fried chicken is pan fried to a golden crispy brown and their tenderloins are hand breaded and cooked perfectly. These people work so hard to provide our town with the best. 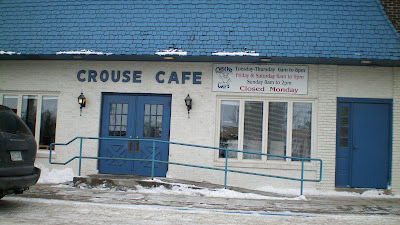 Crouse cafe is smoke free and alcohol free so it is a great place to take a family. YUMMY!!!!! 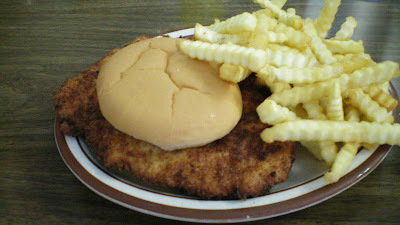 My husband and I stopped here on the way to Des Moines and the pork tenderloin sandwich was fantastic. The fires were no great shakes, but we loved the fried onion rings. 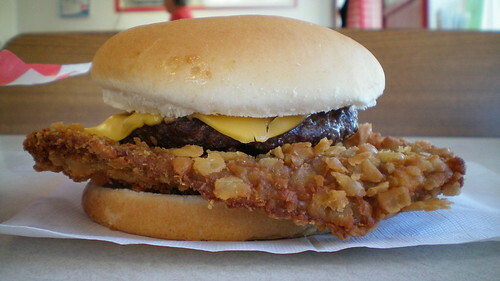 They really weren't rings, but thinly sliced onions battered and fried. They were almost caramelized and really, really tasty. Thanks for the review, we probably wouldn't have found this great spot otherwise! Upon your recommendation my husband and I drove from West Des Moines to have one of these wonderful Tenderloins for our lunch. So glad we did and we were not disappointed. 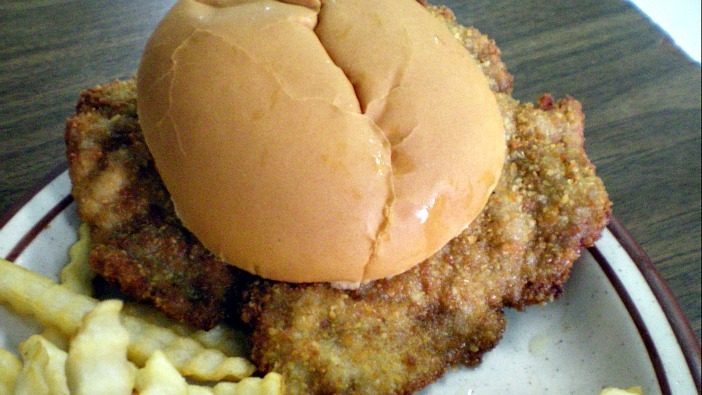 We grew up in Waterloo and our first preference is a tenderloin at Steamboat Resaurant but this is a close rival for favorite.